Before human beings came across the technique of agriculture to grow their own food, we relied on hunting and gathering to meet our daily nutritional needs, with emphasis on hunting. It was such an integral part of living back then that entire clan would migrate from one place to another in search of game. In order to better the chances they do not starve, the early human tried to advance his weapons. Where he just used shard rocks on the end of sticks in the beginning, he later created projectile weapons like bows and arrows. Even though the need to hunt came to an end, the urge to develop weaponry did not. Today, hunt for animals is severely monitored and punishment is levied to the ones who do not follow the laid-out rules. Countries like the United States define specific ‘hunting seasons’ in order to control and maintain the population of species of animal. The advancement in tracking and hunting equipment has seen much development, and one of these developments are thermal scopes. These are specially designed optical scopes, weapon mounted or handheld, which read the thermal radiation emitted by objects and projects it to the user. 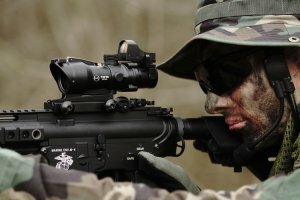 Although expensive, professional hunters, military personnel, and surveillance operatives have been known to use and prefer thermal scopes due to their advantages in low light or completely dark environments. In the following piece, we will be looking at the factors that could help in purchasing a great thermal scope and also go over some of the best thermal scopes in the market right now. Thermal scopes are high-end optical devices which, due to the technology that goes into creating it, are fairly costly. However, if you are planning to up your game in hunting night game, then thermal scopes are an investment that you can not overlook. In order to make a logical and beneficial purchase for the best thermal scope for hunting in the market, there are certain facts that need to be considered. The following is a rundown of these factors which, if kept in mind, will help you in choosing the best value thermal scope. Thermal technology has come far since the first scope was first created. It is safe to say that since then many new ways have been created in order to view warm objects in the dark. 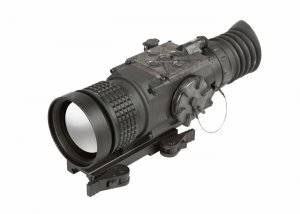 Thermal scopes are high-end versions of the standard night vision scopes. Whereas the night vision equipment relies on some amount of light to illuminate the objects, thermal scopes rely on the heat emitted by the object. This gives thermal scopes the advantage as they can function in zero light environments. Thermal scopes are differentiated into different types, based on the attachment style or the method used to project the image. Based on attachment, you could either have a dedicated thermal scope or clip-on night vision devices. Based on method of image projection you have cryogenically cooled imaging systems or un-cooled systems. 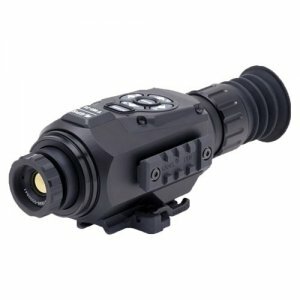 Night vision devices like a thermal scope come either come as a scope with its own magnification system or as a thermal device mounted behind a magnification scope. The advantage of a thermal scope is that the image is absolutely perfect and warp free, even though the equipment is a little expensive. Mounted behind magnification scope devices are cheaper, however, there is a chance of image warping due to the magnification. At the most, you can expect to pair it with a red dot sight compatible with the thermal device. Based on the imaging technique, there are cryogenically cooled or uncooled thermal scopes. Costlier than the uncooled systems, cryogenically cooled imaging systems are known to be able to distinguish between temperature change of 0.2 degrees. This is a great advantage in the field as it improves accuracy. These systems do this by using a system which maintains the temperature of the components in the compartment at 32 degrees Fahrenheit (0 degree Celsius). Un-cooled imaging is the most widely used because of its simplicity and low costs. This is a simple thermal scope type which can be used for the most basic requirements. Night Vision or Thermal Imaging? It is important to know the difference between a night vision scope or a thermal imaging scope, as they both carry out the same function but use different methods to do so. Your standard night vision scopes are the most famous and their green images are very recognisable. They utilize the minimum light available and use it to render the image visible to the viewer. Thermal scopes use technology which is able to capture the heat emitted by warm bodies by measuring their infrared radiations. Night vision scopes are cheaper and less complicated to use. Being costlier, the only advantage that thermal has over night vision is that thermal reads IR and not visible light, therefore capturing a clearer picture in absolute dark conditions. In simple terms, the resolution is the capability of an imaging device to deliver crisp and clear images. The higher the resolution, the better the picture quality. The image created by a thermal scope is dependent upon the resolution of the scope as well as the resolution of the thermal sensor in use. It is like a television and its network provider. You cannot expect high definition image form an HD television if the network provided isn’t high definition. Similarly, the scope might have a resolution of 800×600, but if the sensor is clocking at 320×240 the total output of the image will not be as satisfactory. Magnification, the act of increasing the size of images using an optical device, is a very important characteristic to consider, especially if you are hunting. Thermal scopes come with varying magnification options. The scope may be fixed or have zoom capability. Fixed magnification is preferred by many because the magnified scope is set in such a way that the thermal image isn’t disrupted. Zoom magnifications have an advantage of a range of available magnifications, however, there is a disadvantage of image blurring at higher settings. Reticule pattern is the fixed pattern of lines that are visible when you see through any scope. It is generally viewed as two lines cutting each other equally and perpendicularly. If the target is aligned with the point of intersection, then-the bullet will reach that target. The reticules are either in the forms of the classic crosshair or red dot sights. Red dot scopes are more effective in close range combat situations. This kind of scope will be perfect for tactical use by military or law enforcement. If you want to go for long range hunting accuracy, it is advisable to go for crosshair reticule with wind correction lines which will help you estimate wind correction if the shot is taken from a long distance. The same kind of scope can be used by snipers and marksmen. Videos that we see on a daily basis are nothing but moving images. Like on old-timey projector, the better and smoother video quality is dependent upon how many pictures can be compressed in short amount of time. The number of pictures which are viewed in one second is known as the refresh rate of the device. This is calculated for televisions, computer screens, laptop screens or any device which displays video. Refresh rate is calculated in hertz, which is pictures per seconds. A thermal scope is going to take in the image if the surrounding environment and then project it to the user. The projections of the image will be smoother and of great quality if the refresh rate is higher. A refresh rate of 60 Hz is considered great for a thermal scope. As you are investing in an instrument which is going to help enhance your view, it is necessary to know how far you can see with it. Thermal scopes have a certain range till which they are effective, after which the thermal reading components start to fail. High grade and pricey scopes can give you undisturbed range of 4000 ft, whereas beginner thermal scopes have been known to function with satisfactory accuracy at a range of 1000 ft. The objective lens is an important factor when considering any type of optical device. in any ordinary optical device, an objective lens will function as the source of light, so the bigger the better. The same applies here too, not because the light is a necessity for viewing through a thermal scope, but because it increases the field of view. Better field of view increase your chances of sighting a target quicker and tagging them. Even though lens size has advantages there are disadvantages to it too. The large size of the lens increases weight of the scope and may cause difficulty if you are not using a tripod for aiming. All night vision devices like monocular, binoculars or rifle scopes use sensors which take in the environmental input and project the light. In standard night vision, the input is what small amount of light can be registered, whereas in thermal scopes the sensors register body temperature. The sensors are electronic devices which need power in order to function. A standard thermal scope would utilise one or a pair of lithium ion batteries to power the thermal sensor. These batteries are rechargeable and generally come with a cable to do so. The battery can last 6 to 8 hours with continuous use for uninterrupted scoping. If you plan to carry out long trips, then an external battery will be a great fit for you. Some companies sell external batteries with the scope or may have to purchase one separately. Thermal scopes are costly and can easily be from 500 to 5000 dollars. Since they are such a costly investment it is advisable to look at the company’s guarantee and warranty policy before going for the scope. Some well-known companies like Pulsar or FLIR are known to provide life time or limited life time warranties with their selected products. Others are known to provide warranties if you apply for them separately. It is always advisable to apply for the warranty as a thermal scope is a onetime investment and really expensive. We have looked at all the basic factors that need to be considered before you decide upon buying a thermal scope. Now we will be looking at some of the best thermal rifle scopes and what makes them eligible to be a part of your hunting experience. Pulsar started in 1994 with the goal to further the thermal imaging technology. It has since been able to produce ground-breaking devices which are created using the best thermal imaging software. Pulsar Helion XP is considered as one of the best thermal imaging scope out there in the market, albeit one of the costliest. The internal workings of the scope utilise uncooled micro-bolometric matrix, which clocks in on a resolution of 640×480, giving great differentiation between hot body images. The thermal imaging functions well with the 2.5 – 20x magnification and a 42mm objective lens which provides a great field of view. The scope comes with a refresh rate of 50 Hz, which means that the hardware updates the image 50 times per second, which is impressively high. This scope can detect human size thermal radiations of any object up to the range of 2000 yards. The thermal scope goes a few steps further in trying to become the best thermal scope by giving the user recording options, all of which will be stored on an 8 GB internal storage, accessible via USB. Also, the scope has built-in Wi-Fi system which can be used to sync with your handheld device to monitor the surroundings or live stream the entire hunt online. All of this is supported by a robust rechargeable battery with the backup capacity of 8 hours. The exterior is designed to withstand extreme conditions to provide fog proofing, dust proofing and IPX7 rated waterproofing. ATNcorp, though fairly new in the business, has made a name for themselves in the thermal and night vision optics business. They are based out of California and in recent years have been able to create products which are next to none in quality or durability. The ATN Thor is a range of high definition thermal scopes which come in varying magnifications which can be chosen as per your convenience. The thermal sensor has a resolution of 384×288, which is able to provide fairly clear and amazing thermal images. 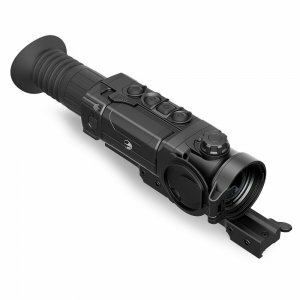 The ATN Thor has the smallest magnification range from 1.25-5x and the highest at 9-36x. The magnification system is fairly smooth to use and shows little to no resistance. The objective lens is of 50 mm diameter which gives a large field of view to the user. Along with the capacity to be able to detect objects by night, the scope comes with an enhancement which is really handy to professional huntsmen. A Ballistic Calculator is a device used by hunters and marks men to calculate the trajectory of your bullet based on wind direction, air density and many other factors. Other additions to the scope is a range finder which will display the exact distance between you and the target. If you plan on recording your hunting experience, the scope comes installed with HD video recording, recoil activated video and wifi streaming capabilities. The lithium ion battery is rechargeable and can back up the scope for 8 hours. Build in smart range finder is a great addition which helps the user to find accurate distance of the target from the shooter using their laser technology. FLIR has been in the field of creating infrared reading equipment since the last fifty years and have gone to include many products in their inventory for all walks of life. They are known for their scopes for military and hunting purposes and also for inspection purposes. The FLIR Scout III is part of the compact thermal scope devices which FLIR has been working on. They are mainly targeted at the hunting enthusiasts who plan on increasing their chances of bagging a buck at night. However, they are also perfect for surveillance professionals or people involved in planning. It is a perfect scope for anyone on the go or if quick movement is key characteristic of the task you are carrying out. The 240×180 resolution thermal sensor projects a crisp and high-definition image on the 640×480 resolution display which has a refresh rate of 30 Hz. All these factors are able to provide the user with a clear image of the target. 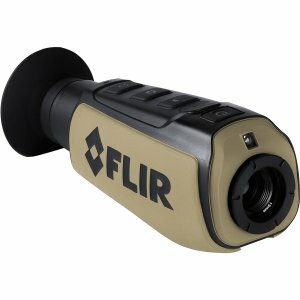 The FLIR Scout III may be a compact and small device, but it does not compromise with the quality, able to provide a human size detection range of 1200 ft. The operating temperature of the scope is -4F to 122F, which means the scope would be able to differentiate between objects with temperatures ranging between these two maxima. The scope incorporates a rechargeable lithium ion battery which is able to provide a backup of 5 hours. The 12oz instrument may feel dainty but is built for durability as it is IP-67 water proof rated, weather and impact proof. You could either go for the 30 Hz refresh rate or the 60 Hz refresh rate based on your requirement. Pulsar has been in the business of thermal optics for a long time and along the years have perfected their craft to keep producing better and more efficient products. The Pulsar Core RXQ30V is one of the best thermal scopes for hunting available in the market today. This could be attributed to the 384×288 thermal sensor resolution which is able to provide you with crisp and accurate images, an essential property if you plan to hunt at night. The internal thermal optic system of the scope utilises uncooled micro-bolometric matrix, which is cheaper and is still able to do the required work. The high refresh rate of 50 Hz is able to provide quick and accurate images of the observed view. 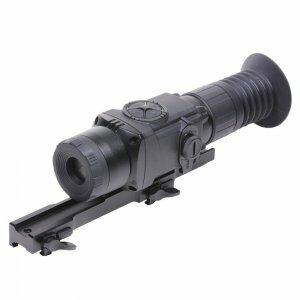 The scope provides magnification of up to 6.4x with a base of 1.6x. The magnification options in between are 2x, 3x and 4x. The zoom provided is digital and not optical. The detection range of 985 yards is perfect for hunting at night. The scope utilises standard lithium ion batteries which are rechargeable, however, if you plan on having long sessions then you have an option of increasing the battery life via an external battery source. Rather than using the standard colour coded screen, Pulsar Core utilises an AMOLED green sapphire display which resembles a standard night vision scope screen. This screen setup is known to be easier on the eyes and reduces stress on them if utilised for long, uninterrupted periods of times. The thermal sensor resolution of 384×288 is on the lower side of the spectrum, which won’t be able to provide a decent clear image of the environment. ATN makes another entry on this list, which only goes to show that this company has been able to develop some of the best equipment when it comes to thermal scope technology. The product that is going to be listed, ATN Thor HD 640, is an advanced version of the ATN Thor that we previously saw on this list. ATN has tried to improve on an already great piece of equipment by using a thermal sensor with a resolution of 640×480. As a device whose purpose is to detect objects in the night, this resolution is made to differentiate between two objects with ease. For this property, this is one of the best thermal scope for coyote hunting. ATN went further to enhance your hunting experience and accuracy by including a ballistic calculator and a rangefinder. The ballistic calculator is a system which carries out basic calculations based on the environmental conditions to give you the best trajectory for your bullet to follow. A rangefinder is a simple laser-based instrument which gives you the range of your target from you. If all this wasn’t enough, you can record and even live stream your hunting experience to share with friends and family. The videos are captured in HD quality. The Wi-Fi can be used to sync with your handheld device for ease of viewing. Even though the scope has an impressive battery backup, the company provides you with an external battery pack which can nearly double the lifespan of your thermal scope. Ballistic calculator and rangefinder are a great addition which help in increasing your overall performance in the field. External battery is a great addition to the scope and will help in keeping you going in the field. FLIR is known for creating thermal detection equipment for a very long time and all these years they have been able to perfect their craft in order to provide their customers with satisfactory products. 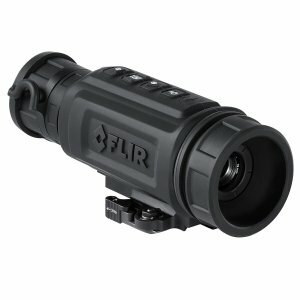 One such product is the Flir Thermosight riflescope. It is a range of riflescopes which has been developed under their Armasight range of tactical equipment. This thermal scope is a great optical device; however, it is more adept to military and tactical use than hunting. The device uses a 640×512 resolution thermal sensor which is the highest that you can get in the market these days. Paired with a 640×480 display, it projects an image which is crisp and clear, with every target easily distinguishable. It is fairly simple to use with just four buttons necessary to operate the whole system. 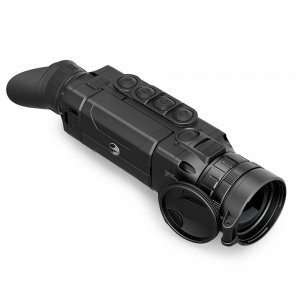 It comes with 3 reticule settings which can be chosen as per your comfort and provides magnification of up to 16x. The thermal scope has a detection range of 355 yards, which is enough if you consider close range combat situations. It is light, compact and very durable as it is designed to be waterproof, fog proof and dustproof. It utilises a Lithium ion battery which is able to provide a backup of a little more than 4 hours. Thermal sensor resolution of 640×512 compliments the display resolution of 640×480 which is able to provide great image projections of the environment. The low battery back up of 4 hours is low. It can be expanded using external battery but that is an additional purchase you will have to make. So far, we have seen some great additions to this list, thermal rifle scopes and monocular alike. The one company that has been able to show consistency in providing great optical devices has been FLIR. Here we look at another product which is created by a FLIR subsidiary, Armasight. Armasight’s primary focus is to cater to Military and Law Enforcement, providing them with thermal registering equipment which are able to help them in stressful and combat type situations. Zeus 336 has been created keeping these situations in mind, to provide them with equipment just as sturdy as them and yet, just as advanced. The Zeus 336 uses a thermal sensor with a pixel resolution of 336×256 which helps in displaying the image on a 800×600 pixel AMOLED display. The refresh rate of 60Hz is the highest we have seen so far, and it provides uninterrupted real time imaging to the user. 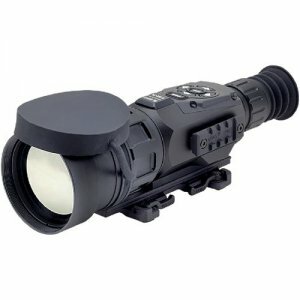 The scope has the magnification power of 3 to 12x and uses a lens of 50 mm diameter which provides a great field of view. The image pallet helps you decide which kind of display fits you best. You have a choice between white hot, black hot, fusion, rainbow, glowblow, ironblow 1 and 2, sepia, colour 1 and 2, ice-fire, rain and OEM CUSTOM. FLIR sure have gone above and beyond on this one. The scope also comes installed with 6 types of reticules which can be selected as per your requirement. The scope uses two Lithium ion rechargeable batteries with a battery backup of 4 hours. Pulsar has been able to remain a leading name in the thermal scope market all this while because they have been able to better their craft and gain experience from every product they have created. Pulsar Trail XQ is a great thermal scope which has been able to get all the tick marks on any hunters’ satisfaction list. Pulsar Trail uses a thermal sensor of 384×288 resolution and provides a clear and crisp image to the user on the AMOLED display. This, paired with 6.4 to 21 times magnification will help in providing a range of clarity in the images as per your convenience. The internal thermal scope workings are of the uncooled type, which means the insides are maintained at the same temperature as the surrounding temperature. The casing is fog proof, dustproof and IPX7 waterproof rated. The detection range of the scope is clocked at 1970 yards which means long range shots can be made using this scope. The scope has an option which helps the user to sync his or her scope with their handheld devices, via an app which can help you view the surroundings and record high definition videos and pictures which you can share with your friends and family. The good detection range of 1970 yards, which is perfect for shooting form long ranges, crow’s nests or any normal marksmen type activity. Low thermal sensor resolution of 384×288 pixels which won’t provide good images, compromising the environmental images. Pulsar has been well known to create the best in thermal rifle scopes for the purposes of hunting and military. They have also created many devices which can be used separate from weapons and have done great for themselves in that field. 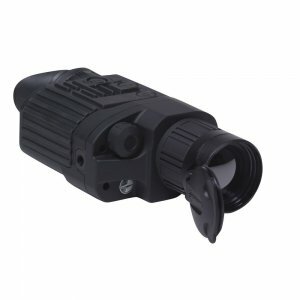 The Pulsar HD38S is a thermal imaging monocular which can be used for hunting at night or any surveillance work. It has been made using a thermal sensor with the resolution of 384×288 at a refresh rate of 30 Hz to provide you with a crisp and uninterrupted thermal viewing. The viewing experience is made better by the 2.1 to 4.2x magnification 2x digital zoom for enhancing the targeted image. The rendered image is displayed on an OLED screen. The display can be used to show the images either in Hot White format or Hot Black format. The device is very compact and lightweight, weighing around 1 pound. 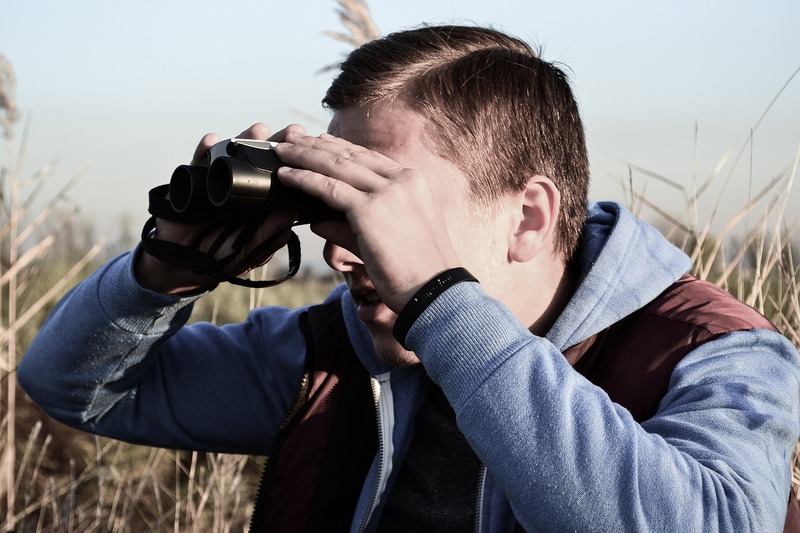 The monocular not only has an integrated battery, but also has an adapter to connect an external battery source to increase its lifetime. Two modes of display format, Hot White and Hot Black, which can be chosen from based on the requirement of the user. Low thermal sensor resolution of 384×288 pixels is not able to provide a complimentary clarity while hunting at night. Low magnification range which doesn’t give you many options to choose from for a better and clearer projected image. ATN corporation has been in the business long enough to have perfected their craft to provide their customers with the best products possible. Working all this time in the field of thermal optics has given them an edge over the other companies in the business. 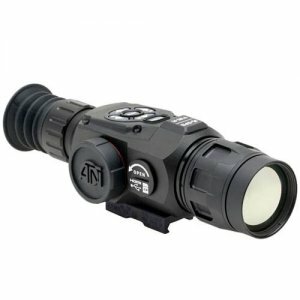 ATN OTS – 640 is a great thermal scope which will become a necessity for you as soon as you learn about it. The scope uses high grade thermal sensors which have a resolution of 640-480 pixels which is strong enough to capture and produce great thermal images of the environment irrespective of the type of display screen in use. Th projected image is made better with the 2.5 to 25 x range of magnification which gives you a range of option to chose form in order to make the viewing even better. To make the scope even better the creators of ATN have added some little extra gadgets on to the scope. the scope comes with a smart range finder. The function of the rangefinder is to detect and report the exact distance between you and the target on which the crosshairs have been pointed. They do so by using the best laser ranging technology. The 3D Gyroscope helps in providing the user with a stable scope by cancelling out any unnecessary movement which may disrupt your activities. Rather than using optical zoom, ATN has provided you with electronic zoom or E-zoom, which enables easy and clear zooming. To make sure that you go home with a little more than what you bagged, the scope also comes with recording capabilities and recoil activated video recording. You have an option to record all of it on a SD card or you can use the integrated Wi-Fi system to live stream all that you see for a more live feel. The Wi-Fi can also be used to sync your handheld device to the scope using an app. Extra additaions like a smart rangefinder, 3D Gyroscope, E-compass and E-zoom enhance the viewing experience of the user. A thermal scope would be a great addition to your armada if you plan on improving your night hunting. The above article will be able to give you some insight as to what you must look for in order to purchase the best value thermal scope.